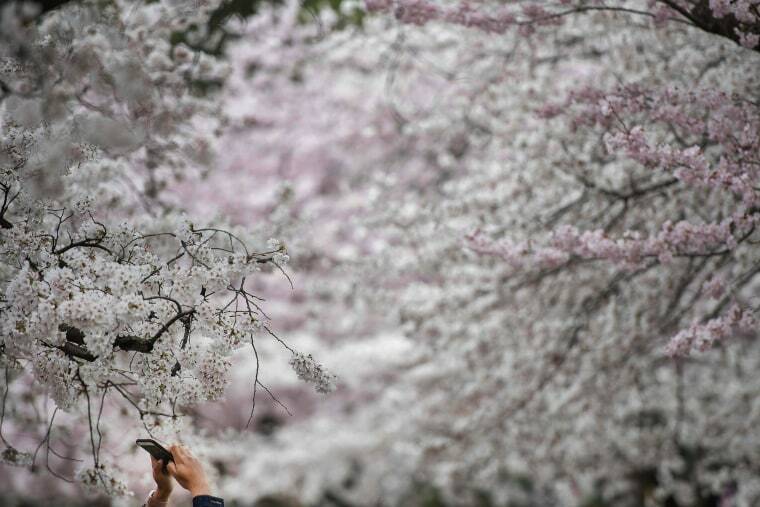 Cherry blossoms in the nation's capital attract thousands to marvel at their short-lived beauty. 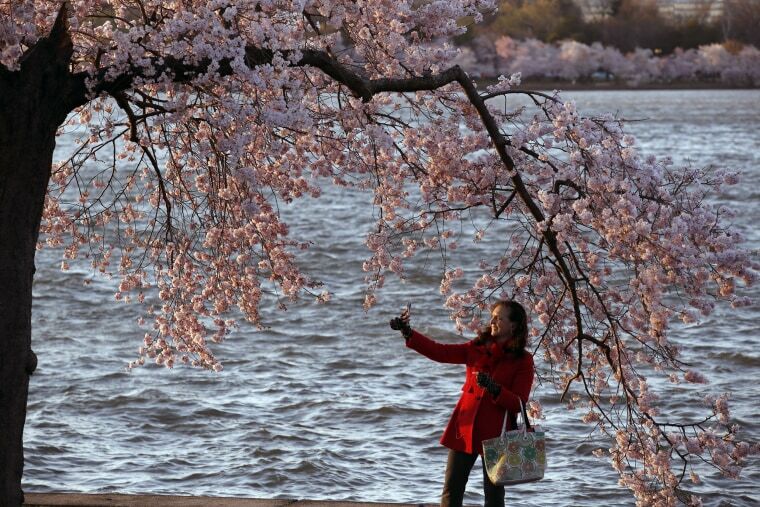 People walk under the cherry blossoms Friday at the Tidal Basin in Washington. 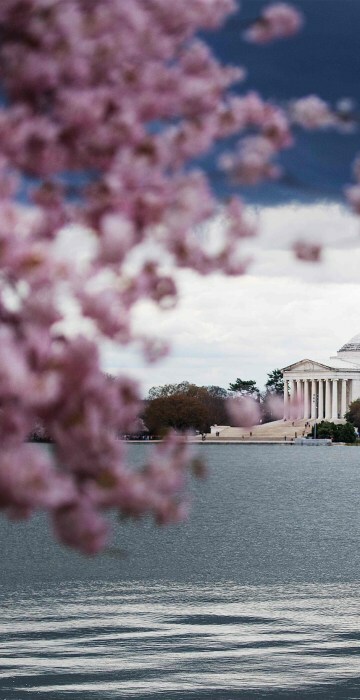 The cherry blossoms have finally reached their peak bloom after the National Park service pushed back their expected peak twice due to cold temperatures. 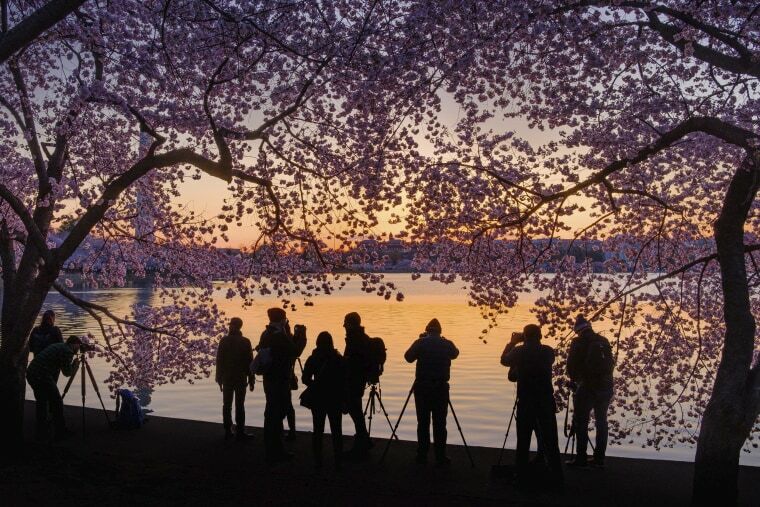 Photographers line up to shoot the blossoming cherry trees at sunrise on Thursday. 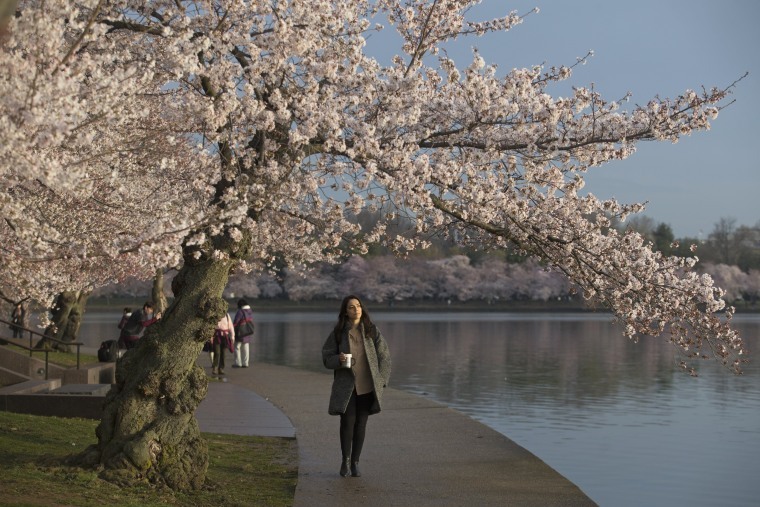 The National Park Service said Thursday was peak bloom, when at least 70 percent of the Yoshino cherry trees around the Tidal Basin were blossoming. Julie Sternberg of Washington takes a selfie Wednesday. 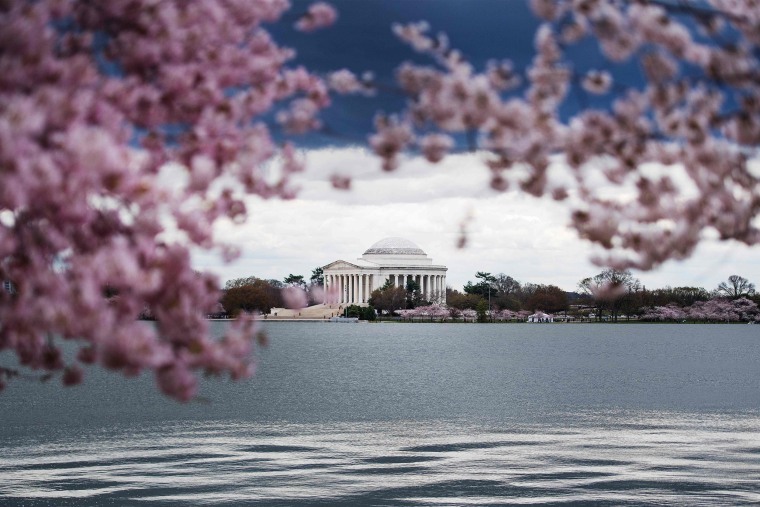 Under ideal conditions, the trees can hold their blossoms for up to two weeks, but rain is forecast in the nation's capital on Saturday which could wrap up the current bloom. The Jefferson Memorial is framed by cherry blossoms. The original cherry trees around the basin were a gift from the mayor of Tokyo to the city in 1912. 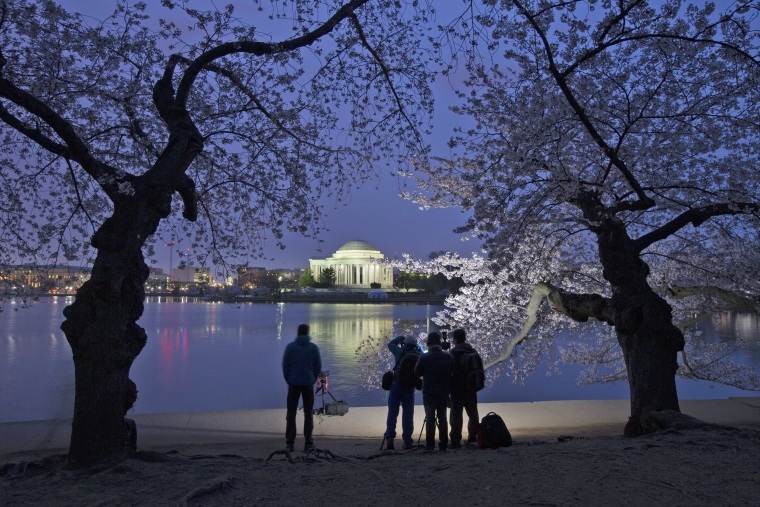 Photographers shine a light on cherry blossoms early on Friday. 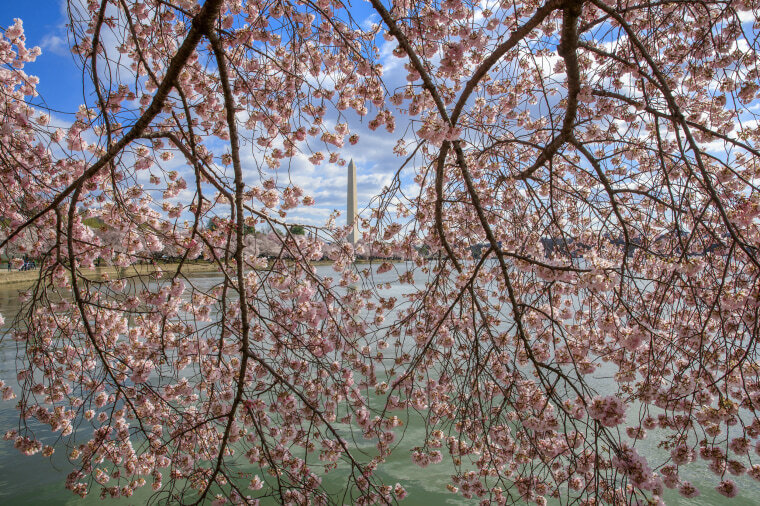 The Washington Monument is framed by pink blossoms on Thursday. 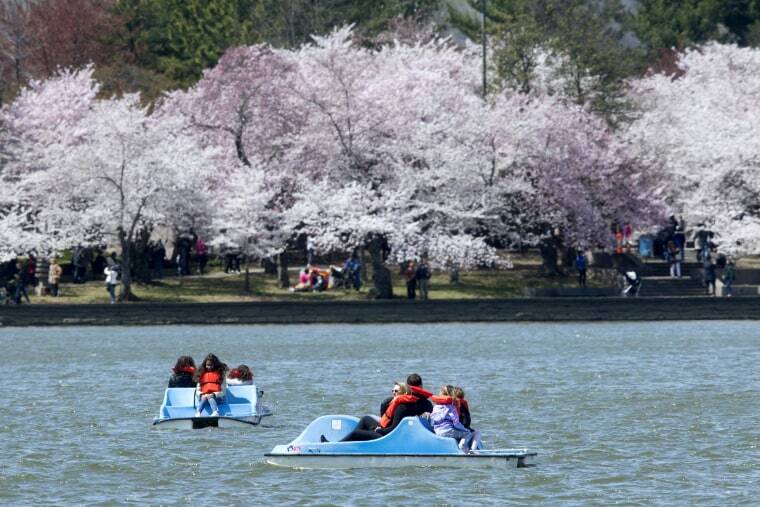 Families ride on paddle boats Thursday. 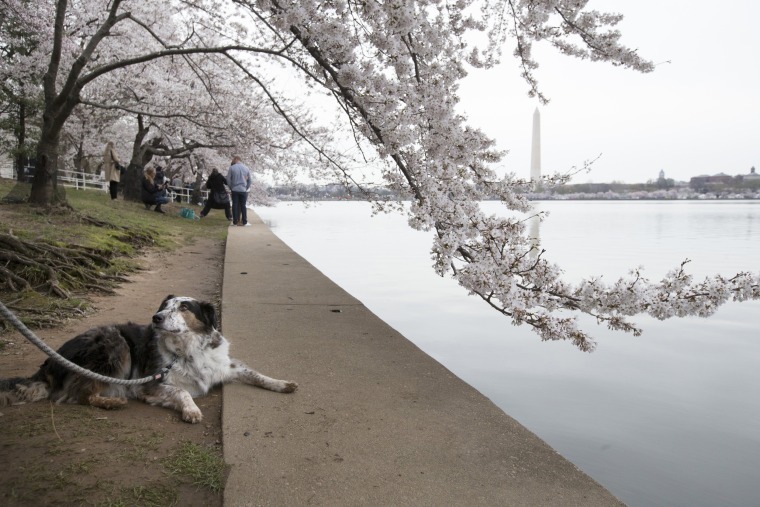 A dog sits beneath the cherry blossoms. 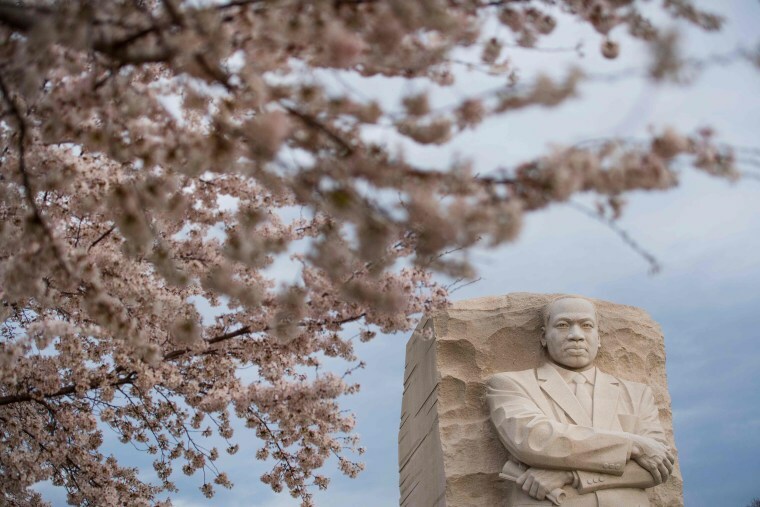 Cherry blossoms bloom near the Martin Luther King, Jr. Memorial on Wednesday. A woman walks along the the Tidal Basin on Wednesday.